Whether you have just returned from a foreign holiday or you have been stashing the cash in a jar for some time, it makes sense to put that cash to good use. It might not look like much to the naked eye, but trust us – those humble little coins could be worth far more than you think. We have made many of our customers very happy by changing up their foreign currency into Sterling and we can do the same for you. Why not club together with friends to see how much foreign currency you have. It could be enough for a night out, a shopping spree or just a little extra money for life’s luxuries. Our currency exchange service is second to none and we are trusted by banks, hospitals, charities, schools, businesses, clubs and individuals to give the best rates. Once we have received, sorted and counted the currency we’ll e-mail you a valuation offer for your foreign coins and notes. If you’re happy with this then we’ll then pay you electronically directly into your nominated bank account – it’s really that simple. (If you are not happy with our offer then we’ll return your currency at our expense to you) – so either way there is nothing to lose! Our currency exchange service is fast, simple and secure and we’ll even collect your currency for FREE over certain weights – see our page ‘How to send us coins‘ for full details. You may want to take a look at our customer comments, where you’ll see a wide variety of great things that people are saying about our foreign coin exchange service. We give our customers the fastest exchange service and we can also give you advice on exchange rates, how to change coins for charity and any other aspect of our foreign currency exchange service. So, collect together your coins now to see how much Sterling you could make. You could be pleasantly surprised! Why not get together with a bunch of friends, colleagues or neighbours and start a collection for your favourite charity, local school or club. You’ll be amazed at how much foreign currency you’ve got lying around. It’s a great way of fundraising, especially when people don’t mind donating leftover foreign coins. It can really boost a charity collection. 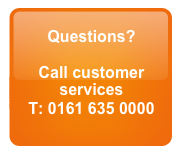 If you’d like any further help or advice then please feel free to call our customer service team who will be glad to help where possible. Why not try us our today and turn those leftover foreign coins into cash! You could be sitting on top of a virtual gold mine without even knowing it.